Welcome to this reflex-training computer program! Move the paddle with your mouse, then click the left mouse button to release the ball. 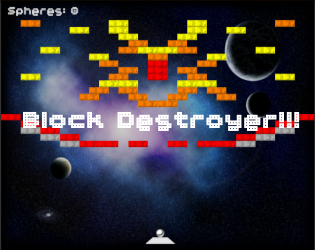 Destroy as many blocks as you can, you only have so many tries. We might even give you an extra go if you can clear a stage. Also, the AI that tracks your progress has been heard to disrupt the training course of those who don't fare so well.. Some have even said it hijacks the game....... We are still gathering the resources and man-hours to be able to look into it efficiently.... Until then, just do what you can.